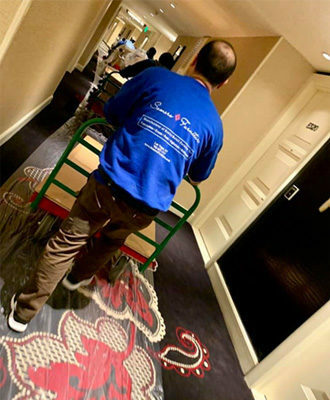 Amore Interiors was hired by Veer Towers exquisite condominiums located in the heart of City Center in Las Vegas. With incomparable amenities at residence fingertips. 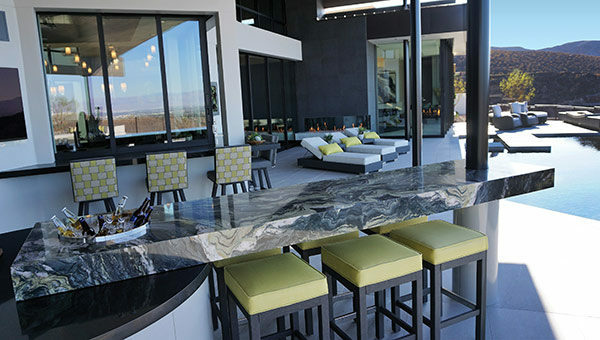 it is no surprise Somers Custom Furniture was commissioned with manufacturing and installing all the outdoor furnishings for the private residential roof top pool area. Custom built reupholstered existing daybeds and ottomans in a durable all weather white PVC coated polyester fabric accented with pillows. 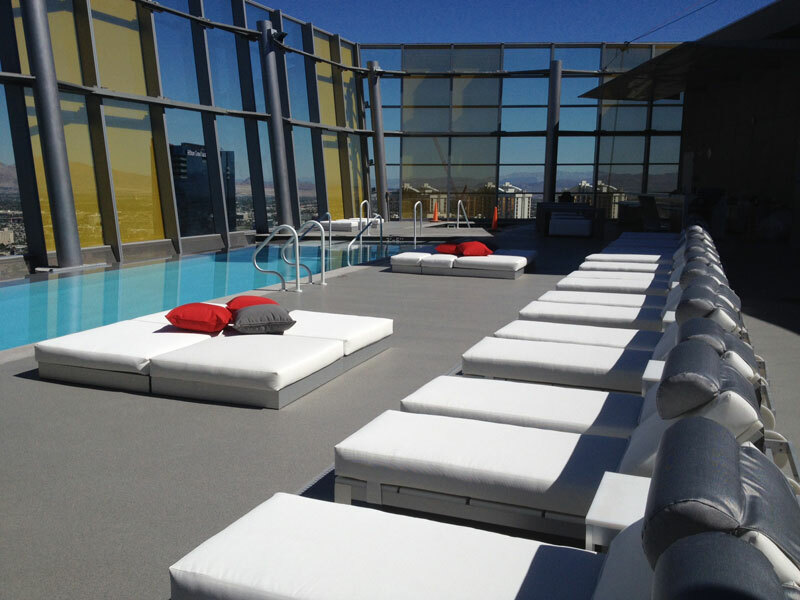 Parsons style tables with dining benches in the same fabric tones, transforms Veer Towers rooftop pool.